IWDA works towards meaningful shifts in gender relations and gender equality. The dramatic underrepresentation of women in social and political leadership roles across the world must be addressed if we are to achieve positive change. We support the diverse women across our region who are strengthening their skills, building confidence to lead, and with their community’s support, accessing positions of influence in political, civic and business decision-making roles. We do this through partnership – working with local organisations to run workshops and skills training, advocacy, research, evidence and learning. IWDA ensures power holders and institutions are responsive to and accountable for women’s rights and status. IWDA supports a strong women’s movement that aggregates and amplifies women’s power and priorities. We support women’s forums at the local, national and international level, and work with diverse women to generate self-respect, creativity, new working relationships and unity of purpose in advancing women’s leadership and action. We are deeply proud of our current Regional Women’s Leadership program – WAVE – which addresses all domains of leadership – from the individual to political and governance systems – and sees women leading transformative sustainable change towards gender equality, enabled by strategic feminist engagement. Women will have an equal say in decisions affecting their lives in their homes, communities and countries, as well as in regional and international spaces. They will have full and effective participation in leadership at all levels of decision-making in political, economic and social life. people received information and training on gender issues and women's equal rights. women survivors of gender-based violence were provided with support services. IWDA’s Women’s Action for Voice and Empowerment (WAVE) is a civil and political participation program focusing on equal representation and visibility of women and men. WAVE is funded by the Government of the Netherlands under their FLOW 2016-2020 policy framework. Taking place in six countries of the Asia Pacific region, WAVE aims to build demand and capability of women to take their place in governance and decision making. WAVE is also a movement, bringing women’s organisations and the public together to challenge widespread imbalances of power and priority that negatively affect women and their human rights. WAVE has five years (2016-2020) to deliver on its promise to women, including to women already in politics, women and young women with potential for political or civil leadership, and advocates for women’s empowerment spanning all genders and tiers of society. Find out more about WAVE. 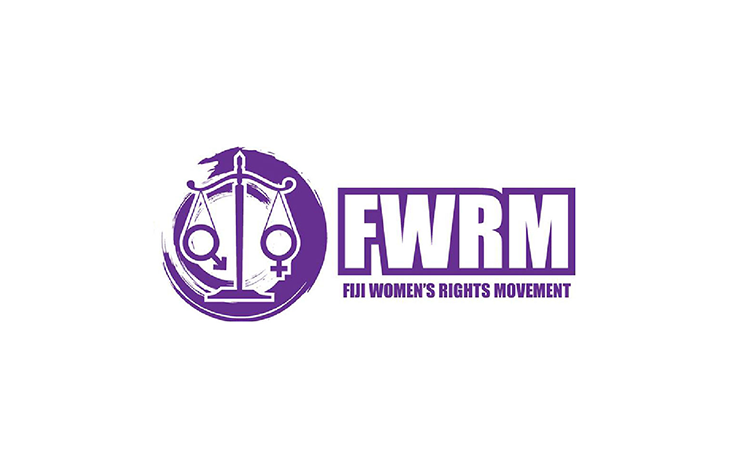 Fiji Women’s Rights Movement is a multiethnic and multicultural non-government organisation committed to removing discrimination against women through institutional reform and attitudinal change. It strives to empower, unite and provide leadership opportunities for women in Fiji, especially for emerging young leaders. FemLINKPACIFIC is a feminist media and policy network committed to empowering women, people with disability and under-served communities in the Pacific through a vibrant information and communications network which is enabling women to be seen and heard in local and national governance structures. Diverse Voices and Action for Equality, is a growing feminist Fiji LBT (Lesbian, Bisexual, Transgender) national collective of high need and marginalised lesbians, bisexual women, transmasculine and gender non-conforming women and people working on issues of human rights and social justice, including gender and sexual, social, economic and ecological justice. Their vision is “All women, all people, all human rights and social justice, everywhere”. The We Rise Coalition partners offer a unique range of skills and regional networks, while representing a breadth and depth of constituencies that gives visibility to stigmatised, marginalised and socially excluded women, including women with disabilities, widows, rural women, young women and women of lesbian and transgender orientation. Read and download the latest research, articles and toolkits on women’s safety and security. The Alola Foundation supports rural women in East Timor to stand for political leadership at the village and municipal levels, and provides ongoing support post-election. This work is vital in upskilling women across the country who want to lead but lack experience or supportive public networks. Their work has so far helped double the number of women elected as Village Chiefs. Women who want to be leaders in Fiji have traditionally been met with conservative attitudes and few opportunities. The Fiji Women’s Rights Movement is determined to see this change. Their year-long leadership program is supporting young women to know their rights, gain experience in public speaking and shatter assumptions about what a leader looks like in Fiji. A Cambodian Women’s Network for Development bringing together grassroots women’s organisations to promote participation of women in politics and development platforms. We focus on Commune Councils for locally led women’s empowerment. Akhaya Women is a local women’s organisation led by and for women. It supports empowerment through individual and experiential learning in small women’s group settings to develop leadership skills. Banteay Srei empowers vulnerable women to improve their political, economic and psychosocial situation through the implementation of community development projects, advocacy work and encouraging men’s participation in addressing issues affecting women. Our name, taken from a renowned 10th century Cambodian temple, means ‘Citadel of Women’. Shan Women’s Action Network (SWAN) is a network of Shan women active in Shan State and Thailand. Its mission is to work on gender equality and justice for Shan women. Wide Bay Conservation Association (WBCA) is an association made up of clans from the Wide Bay area of East Pomio, New Britain. WBCA works to strengthen recognition of women as traditional custodians of the land, and as equal leaders in their communities. Voice for Change (VfC) is a women’s human rights organisation aiming to empower and mobilise rural women to take leadership in addressing gender-based violence and increasing women’s economic empowerment. Equality Rights Alliance (ERA) is Australia’s largest network advocating for women’s equality, women’s leadership and recognition of women’s diversity. IWDA is one of 61 NGOs and social enterprise members. IWDA is a member of the Australian Council for International Development’s (ACFID) Gender Equality Community of Practice. FemLINKPacific (FemLINK) is a feminist media and broadcasting organisation, established in September 2000. Gender and Development for Cambodia (GADC) is a local non-profit and non-political organisation. It works in cooperation with the Royal Government of Cambodia (RGC) and members of civil society organisations to advocate for gender sensitive projects and programs, national laws and policy formulation in Cambodia. Our partner Bougainville Women’s Federation is responding to the needs and ambitions of local young women seeking to increase their leadership effectiveness. They provide a safe space where young women can engage and support each other, and participate in decision making through the peak women’s body in the Autonomous Region of Bougainville. Women’s Rights Action Movement (WRAM) is a non-government organisation of motivated women and men who believe in the cause for gender equality. IWDA plays a leading role on the Steering Group of the Australian Civil Society Coalition on Women, Peace and Security. This Steering Group supports the Government to successfully implement the National Action Plan on Women Peace and Security, and has improved coordination and joint advocacy across a number of peace and security issues including violence against women and children in South Sudan, and human rights monitoring in Myanmar.